It's time! Football Christmas is here and the only thing better than two NFL Draft analyst is two. Connor and Van keep the pace up and first round focused and Connor gives the pod a quick kick off by dialing up some rumblings he has heard that could immediately change the predicted NFL Draft on most popular mocks. 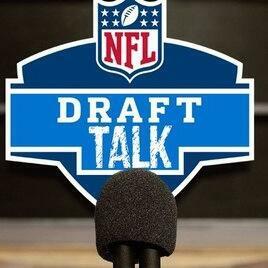 From there the dominoes begin to fall and per the norm, QB's will drive the NFL Draft. But there are a ton of talented players and where they finally end up will change the fortunes of many a fans 2018 season. Livesay and Van Over keep it real and put things in perspective for another NFL Draft. Check back for more conversations from the SportsTalkLine.com network.